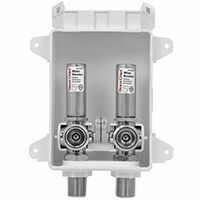 We carry a complete selection of accessories and parts for installation of PEX tubing and copper pipe in hydronic, radiant heating and plumbing applications. 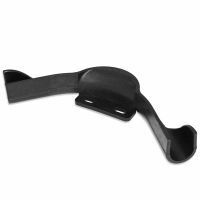 Tube talons with nails for securing PEX, copper and CPVC piping of various sizes to wooden surfaces, such as studs, beams and plywood. 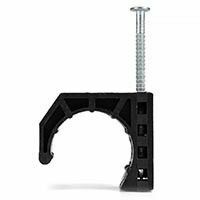 Everhot and Sioux Chief brand regular and suspension type clamps for PEX, copper and CPVC pipes of sizes up to 2". 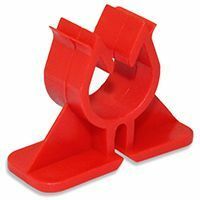 PEX plastic bend supports with ear and metal bend supports for plumbing and in-slab installation of PEX pipe. 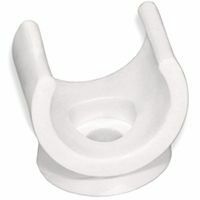 360-degree swivel design of snap-in PEX clips offers maximum versatility, allowing to install clips first and then snap the PEX tubing later. 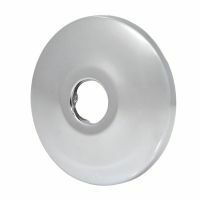 Outlet boxes for installation of washing machines, gas appliances, icemakers, lavatories and dishwashers. 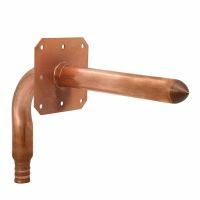 Copper stub-out elbows for 1/2" and 3/4" PEX in various connection options and mounting ear on select models. 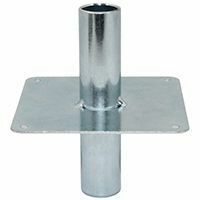 Adjustable metal brackets with and without pipe clamps for securing stub-out elbows or piping to wooden or metal studs. 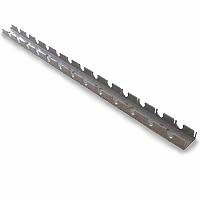 Heavy-gauge, self-nailing stud plates in various sizes help to protect piping and wires from damage by drywall screws. 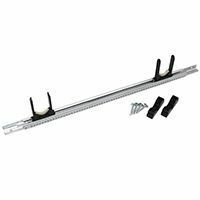 Plastic PEX rails for installation of PEX piping in thin-slab and thick-slab (rebar or mesh reinforced) radiant heating applications. Nylon zip ties are used to secure PEX tubing to wire mesh or rebar during installation of the pipe in a concrete slab. 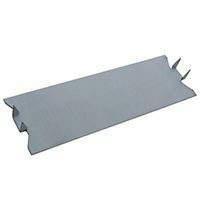 Plastic clips allow to easily secure 1/2" PEX tubing to standard steel wire mesh in reinforced concrete slab installations. Secure PEX tubing to wooden surfaces and protect it against damage when penetrating a wall or a floor level. 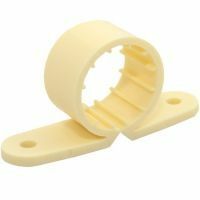 Steel and plastic escutcheons provide an aesthetic, finished look for PEX, CPVC and copper piping which penetrates walls and flooring.